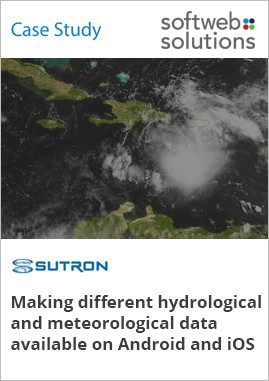 Sutron Corporation is a leader in providing real-time remote monitoring of Hydro-Met/Oceanic control systems and stations. Sutron products are designed to gather, store, transmit, and host data collected from remote sites. Softweb Solutions created web and mobile based solutions that connect with the X-Link logger device to pull Hydro-Met/Oceanic data from all their sensors for a smooth flow of information. We also created a web version for access through PCs and web-based browsers. The IoT solutions we delivered help Sutron gather sensor-related information and provide faster control to their employees.